The last time Manchester United left off prior to an international break, the Red Devils had just engineered a sublime 3-2 comeback against Newcastle United, and Jose Mourinho seemed secure at his job. This time around, things aren’t as pretty, with the side suffering a 3-1 defeat to their cross-town rivals Manchester City. It will be a hard task for the side to break into the top-four despite the length of the season that remains, and now, they have an additional woe to worry about, as the international break is on the cusp of starting. 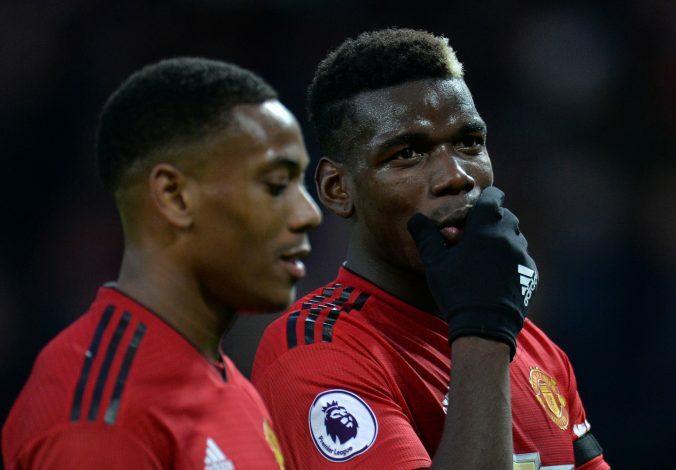 Paul Pogba and Anthony Martial had to withdraw from the France squad for the international break, with each player suffering injuries of their own. As replacements for the duo, Moussa Sissoko and Alexandre Lacazette were initially called up instead but the Gunners forward has since been withdrawn. While Pogba’s absence will come as no surprise, given how the crucial midfielder had to miss the Manchester derby, putting United’s hopes in even greater doubt, it is the absence of Martial that will cause further concern. The youngster was in fiery form, which is what had led to the international call-up in the first place. With 6 goals in 5 games, his presence was often the sole attacking respite for Mourinho’s team. But now, he has been withdrawn in what is reported to be a hamstring problem. Supporters of the Old Trafford outfit will be eagerly hoping that neither of these problems end up being long term. The duo is arguably the most eager source of attacking threat in the team as of recent, and the absence of one was quite prominent on Sunday, which is why losing out on Martial too, would certainly put them in a spot of worry. This is also a personal loss to Martial, who would have been eager to do for country what he’s been quite successful at doing for his club. And if things go awry, he could also lose his spot in an increasingly competitive forward line at Old Trafford.